I first ran across Versoul Guitars when a friend posted a recent picture of Ron Wood on Facebook. He was playing a most unusual and unique guitar. I had to find out more about it. I learned that it was a Versoul Guitar and was manufactured in Finland. 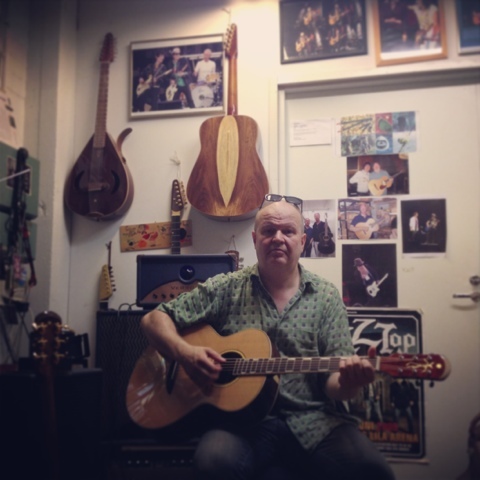 My last installment was about Aristides Guitars from the Netherlands. It seems I'm on a Northern European theme. 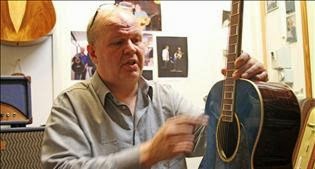 Allow me to share what I have learned about Versoul Guitars and their creator, Mr. Kari Nieminen. In 1994, Finnish luthier Kari Nieminen began Versoul Guitars. Mr. Nieminen holds an MFA degree from the University of Art and Design in Helsinki, Finland. In fact he was awarded the Industrial Designer of The Year from the Association of Finnish Industrial Designers in 1998. Kari has been building guitars for over thirty years. He is utilizing his design experience as well as skills in luthiery to create marvelous guitars that not only are well made, but sound fantastic. His mission statement is to compliment the centuries of traditional guitar making with modern techniques. One of his models, a steel string flat top guitar called Zoel was featured in one of Finland’s special stamp editions showcasing six products of new Finnish design in 1999. The initial offerings in 1995 were two acoustic model guitars. Since then the product range blossomed to 19 models in 2008. Versoul Guitars are available internationally through dealers in the US, Europe and Japan. Versoul Guitars pride themselves on using local, ecological wood such as aspen, European alder and maple instead of species are endangered wood. The philosophy of Versoul Guitars is to continually improve, beginning with music and the musician; finding ways to refine and improve the sound for the benefit of both. Such refinements and experimentation have led to design innovations, such as the Buxom Baritone 12 and the Reso Sun resonator guitar. Versoul designs its guitars as professional tools in terms of ergonomics and playability, in hopes each instrument will sound special and be aesthetically pleasing. Versoul Guitars makes several electric models. The Raya 6 features a two piece alder body and an aspen or maple bolt on neck. A rosewood fingerboard with Dunlop frets is on the neck with green abalone dot markers. The radius is 12”. The saddle and the nut are made of ‘moose shin bone’. The guitar can be ordered in Black, Cool Blue, Dark Purple or Terracotta. The finish on the body is nitrocellulose lacquer. This also comes as the 12 string Raya 12 with similar accouterments. The top-of-the-line model is called The Henry. This is a traditional electric solid body guitar built of Finnish Alder, sporting a laminated neck made of aspen and maple for added strength. The scale is 25.4”. An optional feature is adding a 23 Carat LeafGold Top. It is a beautiful instrument. Versoul also offers a Classical style guitar called the Touca. The unique feature is the heelless Versoul Neck Joint which makes for comfortable playing on the full length of the fret board. The headstock and tuners are unique and functional; designed for quick string changes. It is recommended for Flamenco-style players. Versoul even crafts their own amplifiers. Versoul Guitars are even endorsed by the “Reverend” Billy Gibbons. He ordered a pair that are covered in 23 Carat Gold Leaf. Here is my favorite Versoul guitar. I’ll never own it, but I can dream. Kari Nieminem of Versoul offers The Caspian. This is an acoustic version of the electric sitar, only it is a 12 string instrument, complete with 13 sympathetic strings. The shape is reminiscent of a mandolin. The scale is long; 26.75”. It comes with a leg support. It can be ordered with an optional scalloped fingerboard, for playing those notes-between-the-notes. Though it is not mentioned on the Versoul web page, I know the make some electric resonator guitars. This is called the ResoSun 6 string baritone. Check out the interesting fret markers. 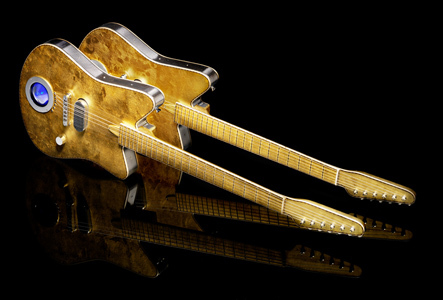 I have never seen such unique guitars. It's refreshing to see this kind of guitar playing and music. Wonder if there are young folks who play these kind of guitars. Start following our signals right now & earn up to 270% per day. 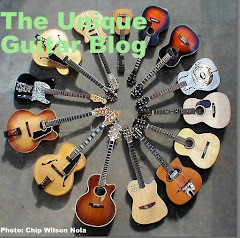 These are fabulous colliections of guitars.A guitar is the most popular and stylish instrument in the world.A best sounding acoustic guitar makes a guitarist the best and Stylish guitarist in the world and makes thier music unique and rocking.